On beautiful Siesta Key, all our properties are within walking distance to the world's best beach and near the Village of Siesta Key. Our rentals can be your "home away from home" as they are all totally furnished and family friendly with reasonable rates. And Jim and I are always attentive to our guests as we live on the island as well. 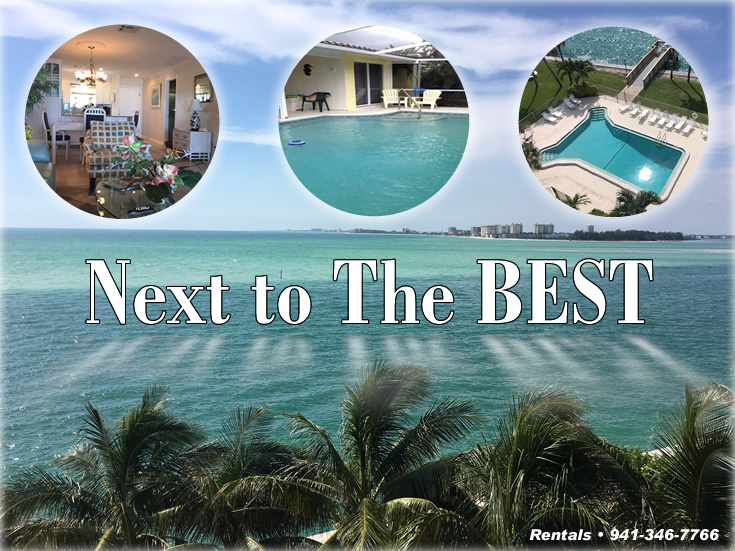 Welcome to our website and our vacation rentals on Siesta Key. Jim and I have been in the vacation rental business for over 18 years and have added some new properties to our inventory and also sold the 4 unit building in the Village. We own and manage our own properties so you will be dealing directly with us, not someone else. And we understand that being up front with people is the only way to do business, you will never find any extra fees or charges that aren't stated to you from the beginning. We rent mostly weekly or monthly during the winter months but we can do long terms also. We offer discounts for stays longer than 2 weeks. Call us for rates, you wont be disappointed. Crescent Royale. 777 beach road unit 4b. Weekly rentals. Full beach and gulf views. 2 bedroom 2 bath weekly rental. 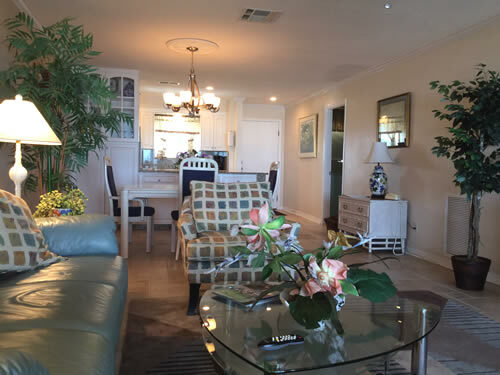 King bed in master bedroom with flatscreen TV, granite full bath and walk in shower, walk in closet and sliding glass door to enclosed lanai with openable sliding doors to enjoy the sea breezes and waves. Two twin beds in guest room with flatscreen cable TV, walk in closet and granite full bath with walk in shower. Living room has reclinable leather sofa and matching swivel chair and large flatscreen TV and sliding glass doors to enclosed lanai. Granite kitchen with new appliances and cabinets. 100 steps to the powdery sand. Free covered parking behind secure gates. Exercise room and male and female saunas and baths. Club room with pool table, tables and chairs. Heated pool and deck with chairs and tables and 2 gas grills. Washer/dryer on each floor. Rates range from $1000-$1700/week plus 12% in taxes. Private Pool Home. 5612 Cape Leyte Dr., rates from $1800-$3500/week plus 12% in taxes. Monthly rentals preferred. Private single family home. Fully furnished, 3 bedroom, 3 full baths, full kitchen and laundry room. Two master suites with King beds, TV's, full baths with walk in showers and each has a sliding glass door to either the enclosed pool deck or open air sun deck. Guest room has 2 twin beds and walk in closet. 3rd bath is in hallway near guest room. Open floor plan in living and dining room and kitchen. Private caged pool with solar heat. Open air sun deck with tables and chairs and gas grill. Beach towels, beach chairs and cooler and wagon for your use. Large circle drive and one car garage. No pets and no smoking. A block to beach, across from Siesta Key Public Beach main entrance. Rates based on occupancy up to 6 persons, additional charges will apply for occupancy up to our maximum occupancy of 8 persons (including children and babies). Midnight cove II Bayside. 6327 Midnight Pass Road, unit 734. Weekly or longer term. 2 bedroom, 1&1/2 bath. King bed in master, two twins in guest room. Granite kitchen, tile floors in living area, private washer/dryer. Top floor, Open air balcony with gorgeous views of bay inlet. Near large salt water community pool also on bay inlet. Covered parking space provided. Tennis courts, clubhouse, gas grills and across the street from beach access. Rates range from $950-$1650/week plus 12% in taxes. 5 person max occupancy. Siesta Towers, 6th floor. 4822 Ocean Blvd, Siesta Key. Unit currently under renovation. 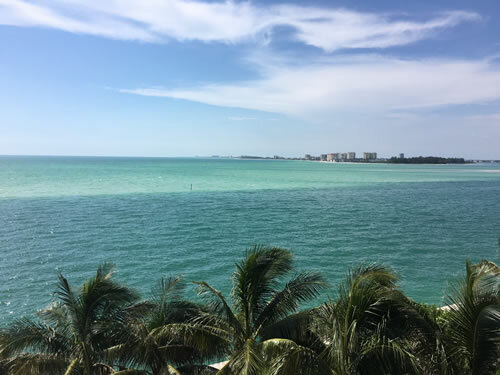 2 bedroom, 2 full bath condo with full gulf views, Lido Key, Ringling Bridge, downtown Sarasota all in view. 2 balconies; one enclosed (52 feet long) with sliding hurricane doors and interior sliding glass doors to guest bedroom, living room and kitchen. Smaller open air balcony in master bedroom with views to take your breath away. Long term rentals only (longer than 3 months). Would prefer an annual renter. Can be furnished or unfurnished. 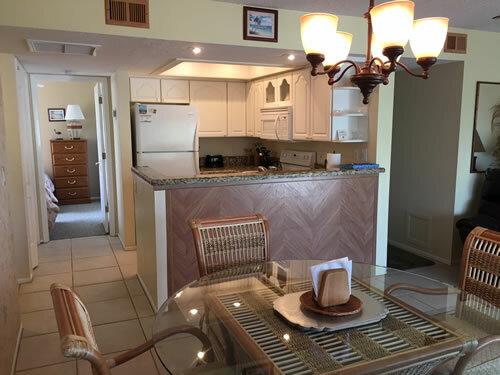 Fully amenitied condominium building with exercise room, party room, grill, pool, fishing and party dock off the sea wall, parking space and guest parking, secure building, 2 elevators. Walking distance to Village and all the Village has to offer. 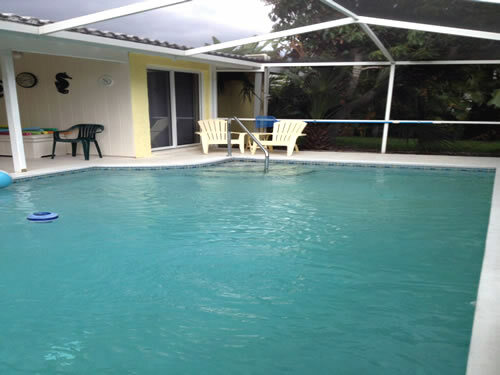 Close to Siesta Bridge for easy on and off island travel. Rates to be determined. All of our rentals are no pets. All have heated pools. Copyright ©2003 Next To The Best. All rights reserved.